The recent War Thunder Update 1.59 'Flaming Arrows' saw a variety of new features, locations and vehicles added to the game. Arguably, one of the most extraordinary additions has been the very first official introduction of an aircraft that was created by a member of the Community. Yes, that's right: The original 3D model of the German night interceptor He 219 was created by Daniil "_Joy_Division_" Zaitsev, a War Thunder player just like you! Adding this vehicle was possible thanks to the Revenue Share Partner System, which we introduced a while ago as an incentive for creative players to add to and help with the development of War Thunder. The principle is simple: Exceptional work posted to War Thunder Live, our game's own content sharing platform, may catch our attention and thus has a chance of being added to the game. Similarly, players that have already made progress in creating something truly impressive, like the 3D model of a vehicle, are invited to contact us directly - as was the case with Daniil Zaitsev, who got in touch with one of our modellers. If you are interested in reading more about how the He 219 came to life, read more in the respective developer's blog! The He 219, a Success Story for Revenue Share! 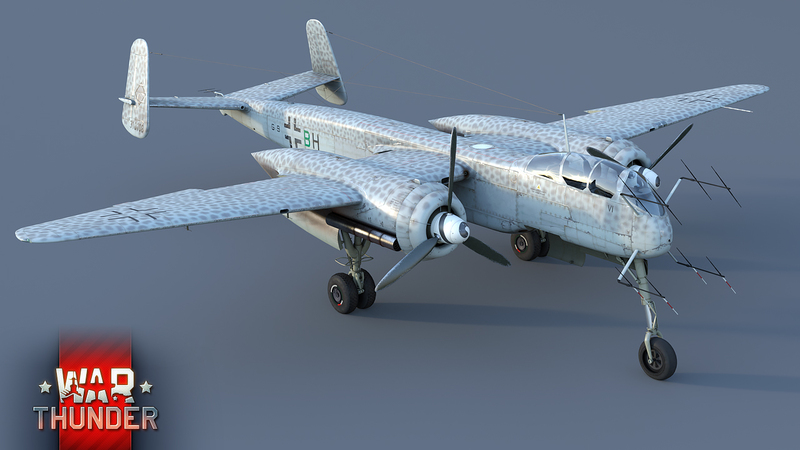 Included as a Premium vehicle to the German tree that is available for purchase by Golden Eagles, the He 219 quickly became a favorite for many players. And while the machine itself with its six cannons is truly interesting, we are sure that many players decided to support and thank a fellow War Thunder player for his hard work and dedication. Which is great thing, indeed! Thus, we are happy to announce that after just one week, we are already able to provide the model's author with the impressive sum of $5122! So, what are you waiting for? Get into 3D Modelling or a similar skill and earn real money with your favorite game, just like Daniil does! Surely there are many creative talents in our Community out there - don't be shy, show us what you can do! Congratulations to Daniil and many thanks to our amazing Community! There are also 7 existing users already in the scheme that have had their vehicle "skins” added to the game and we are pleased to announce that two of these revenue share participants, _TerremotO_ and gudkarma, have reached another milestone and will receive their additional share! Wow! Congratulations to Daniil - it's a great plane and the first I've bought as a stand-alone plane in a very, very long time, probably since the Soviet B-25. I just wish I had the talent to do what he's done! Well deserved imho. Thanks for your comment Vain. Scarper, A big thanks too for Gaijin allowing that! It's always the best idea to see customers as partners instead of cows to milk. Gaijin as it seems always supports this by providing free-to-play game and Revenue Share Program while creating such a wonderful game as War Thunder. That's awesome. This approach can help both sides a lot. I hope we get to see the BT-42 @CmdNomad is making, can get into the Revenue Share Program.